Weddings are the day to realize your childhood fantasies and dreams, it is the day to make it big and be pampered. With big dreams comes even higher stakes of pulling it all off. It is not just the days, guests, food, etc that need to be planned, but even the venue that best suits your dream wedding. When choosing a venue one also has to keep in mind if the venue can hold the number of guests you are calling to make your day perfect. Be it food, traditions & customs, or grand arrangements – extravagant weddings stay etched in your memory for a long time. 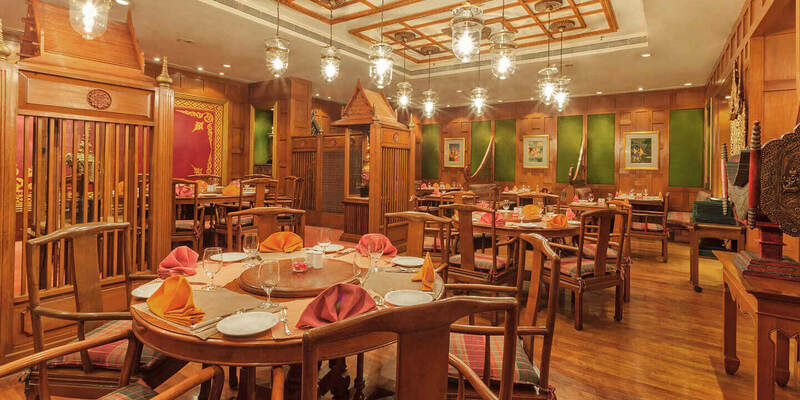 If you too are planning a big fat wedding for yourself or someone close, here are the best banquets in Kolkata that you should be looking at. The options listed below are some of the finest five-star hotels and fancy banquet halls, with some of the best indoor as well as open-air facilities. Most of them are all-inclusive packages that the rent for the venue, decor charges, and charges for food. The big fat weddings in Kolkata go up a notch in terms of extravagance at Hyatt Regency. The Regency offers two possible venue areas – one on the poolside, and the other on the palatial end called the Regency Ballroom. The Poolside is an open-air venue which features the largest landscape pool that the city has seen till date. The pillarless Regency Ballroom, on the other hand, is boastful of an open terrace. The lightings and the decor are adapted to match the themes demanded by the client. The Hyatt Regency is one of the top venues in Kolkata, giving cut-throat competition to others. Taj Bengal is another one of the splendid wedding venues in Kolkata. It has more than six wedding venues which are named as follows: Portico, Oriental, Terrace Garden, Mandarin, Crystal Hall, and the banquet lawns. The capacity of this venue ranges from twenty-five to seven hundred guests, and each of the venue areas has their own distinct features and decor. The ITC Sonar features in this list as one of the best wedding venues in Kolkata. It is not only known for its decor and services, but also because of its enviable location. Being situated away from the hustle and bustle of the city, it a spectacular venue to host the most lavish wedding of Kolkata. The Pala (indoor venue area) steals the show away with its soft lighting and candles. 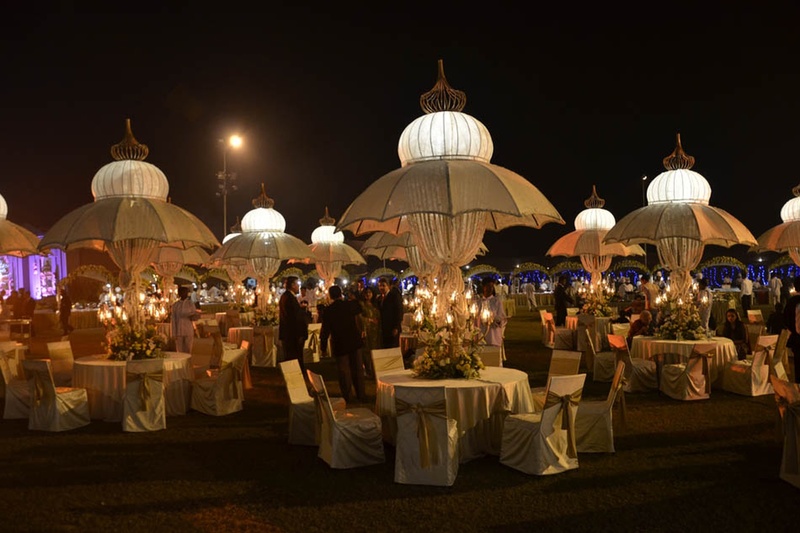 The outdoor venue, which goes by the name of Sundarban Lawns is a lovely landscape garden suitable for an open-air event. The Oberoi Grand Hotel has hosted luxurious parties for erstwhile kings and British Bureaucrats in the olden days. Even today it holds true to its standards in terms of its grandeur which proves that the importance of the place has not faded as an elite wedding venue. It is among the best wedding venues in Kolkata having one of the city’s largest ballroom which spans over an area of 19,000 sq ft.
As many as thousand guests can be accommodated in the opulent venue which is decorated with crystal chandeliers, and huge windows. The large hall can either be used as a single venue or can be divided into two segments, the Burdwan Hall and Coochbehar. One of the most lavish and best banquets in Kolkata is the PC Chandra Garden which has three venue areas with both indoor and outdoor seating. The halls can host up to eight hundred and fifty guests, while the lawns have a capacity of seating twenty-one thousand guests. Both the catering and service offered at the venue are impeccable. The indoor décor is so extravagant that it will blow anyone’s mind.